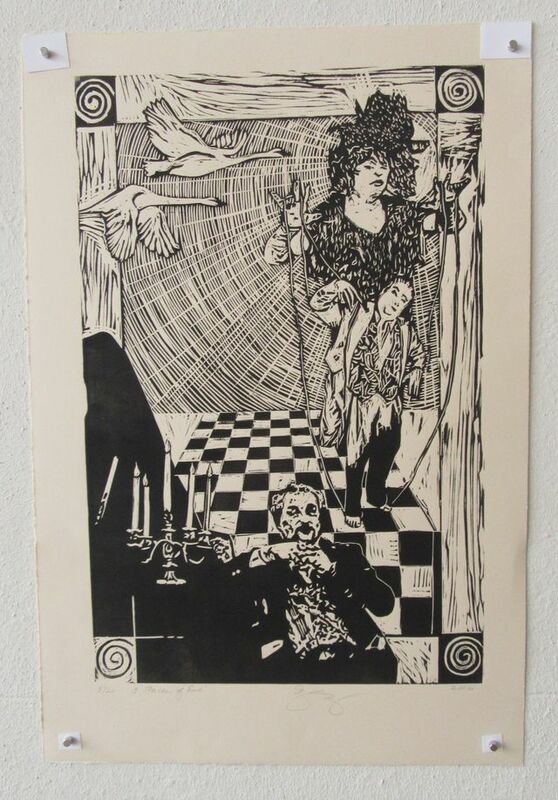 We are always looking for innovative new ways to display prints, as framing is expensive. We used "Poster Hangers by Jørgen Møller" for the Mexican print exhibition. 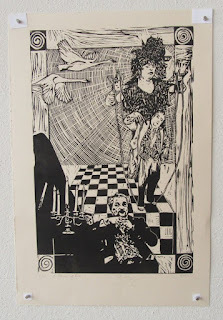 They looked great and did not damage the prints, but do leave the prints exposed (not under glass). 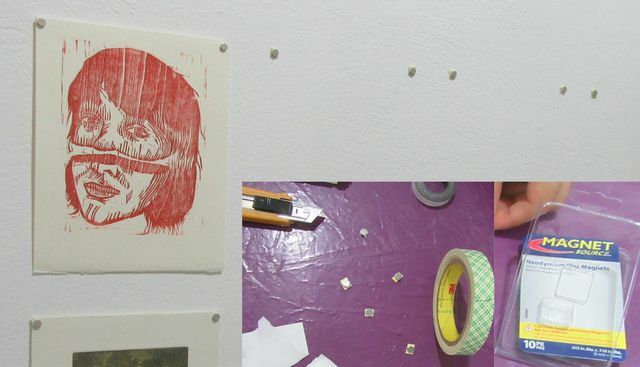 We used super strong magnets (from Home Depot) and double-sided tape to hang small prints in Monterrey, Mexico. We adhered a magnet to the tape, taped it on the wall -- then sandwiched the print with 2 magnets, using a second to adhere to the first. 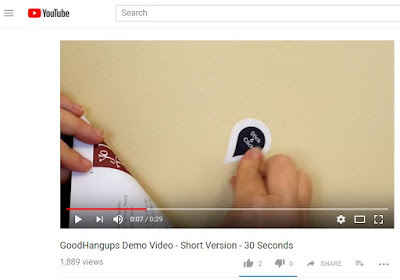 GoodHangups (available at Amazon) allow one to hang prints with magnets and removable stickers. 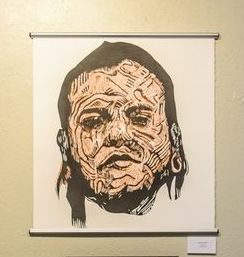 The pop-up print gallery at the second Southwest Print Fiesta was hung this way. No holes left in the wall. There is also paint now, apparently with metal filings mixed in it, that the magnets will stick to. So one could paint their gallery with "magnetic primer" and use the small but powerful neodymium magnets to hangs the prints. Plastic lightweight large carrying case makes a huge difference for carrying 22 x 30 inch prints. 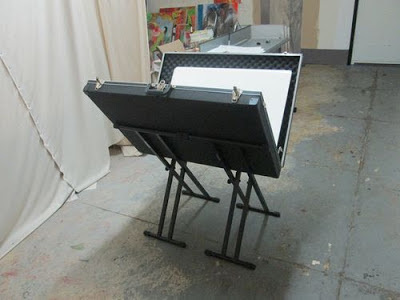 With a couple of music stands, the carrying case becomes a print bin, which buyers can flip through.